Now we move on to explain the conditions of execution of the verb “to put”. For those who have yet to read the Part 1, please go ahead and read it first. 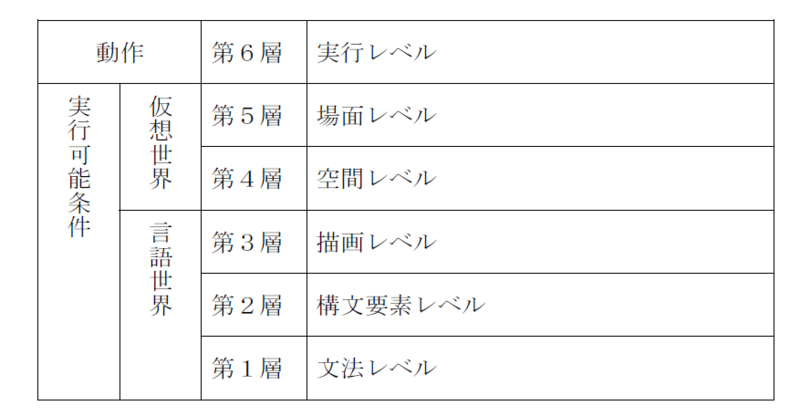 In Part 1, we analyzed sentence constructions, and based on the result, we confirmed that there are no errors at grammatical level, construction element level, and drawing level. After confirming there are no issues, we are going to place it as a happening based on the result from construction analysis. Here we are at the phase of the virtual world. Rule１：The size of a “content” is smaller than a “container”. Rule２：A “container” has some space (room) to it. In the case of a sentence “a pencil is inside the pencil case”, the “content” is “a pencil” and this information can be obtained from the subject of the sentence after its construction analysis. 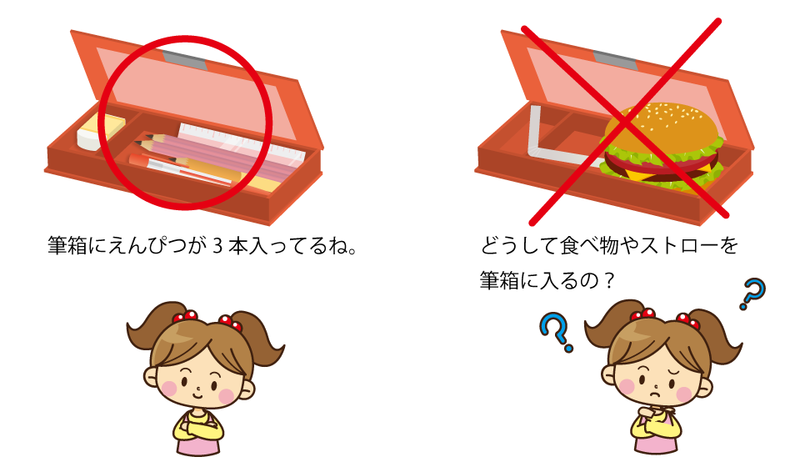 Now here the “container” refers to the pencil case, and this can be obtained from the object place in the sentence. Now concrete objects such as “a pencil case” and “a pencil” have already 3D models prepared, and you can obtain each size from the models. For example, a sentence “to put a blackboard inside a pencil case”, it violates the rule１ as the “content” blackboard is bigger than the “container” pencil case. Though you can picture it, in terms of spatial relationship it is wrong – so you’d reply “you cannot put a blackboard inside a pencil case” or ask “how do you put a blackboard inside a pencil case?”. In the case of a sentence ” to put a pencil inside a pillar”, it violates the rule２ because the “container” pillar does not have room. So you’d say “you can’t put a pencil inside a pillar” or ask “how do you put a pencil inside a pillar?”. Like this, at space level, you can picture it yet in regards to its size, you determine that it is impossible to fit. As you can picture it, in theory, you can place it as an object in the virtual world. However, this is an error at execution level. If there is no issue at space level, it will move on to examining the next level, setting level. Rule： Whether ”content” includes as the child of Has-a of the ”container”. The virtual world has a setting, and in a setting includes items. If items are concrete objects, they will be prepared as ３D models. When they are drawn in ３D models, there also will be description of what they will have as a child of Has-a. For example, a pencil case, as a child of Has-a, owns the concept of. Among the concept of stationery includes pencils, mechanical pencils and erasers. A mechanical pencil owns pencil leads as a child of Has-a. 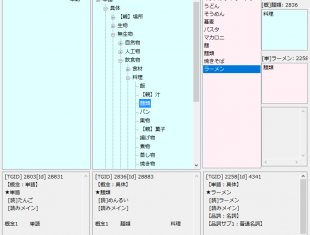 This is how you can trace back items of a setting from children of Has-a. 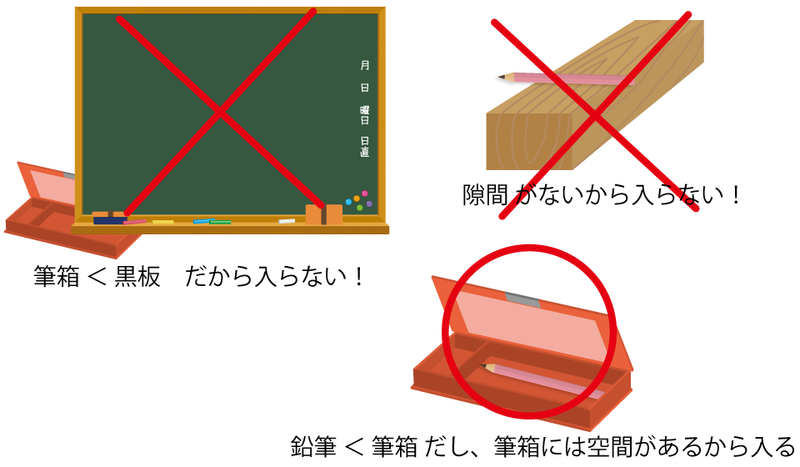 For example, in the case of a sentence “to put a straw in a pencil case”, as items of the setting, a pencil case and a straw will be registered. Then, after tracing back the children of Has-a of a pencil case,” container”, we confirm that straw the “content” exist there. If it does not come up, it asks “why do you put a straw in a pencil case?”. At setting level, there is no issue in the size – so the action is executable on the virtual world, it prompts an error as it does not make sense. This level, setting level, refers to those called “common sense”. If there is no issue at this setting level, now the action will be executed based on the judgement that all the conditions of execution of the verb “to put” are met. The content of the action “to put” is the transfer function. If the item is a concrete object, it will generate an object as a 3D model and place it on a physical simulation software. This is what we call a setting. 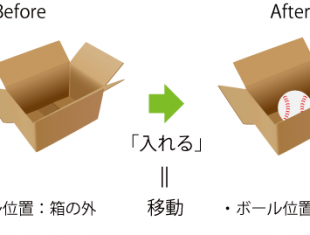 The action of “to put” is, the “content” will be transferred to inside the ”container” by using the transfer function on the physical simulation software. Here we see the word “inside” – the meaning of “inside” is defined as “within the subject’s external surface” and this can be defined on the physical simulation software. This is how it transfers ”content” inside the ”container” – and how we interpret the sentence “to put a pencil inside a pencil case”. The result of the transfer is drawn on the physical simulation software and that’s why it can answer to a question such as “where is a pencil?” and reply “it is inside the pencil case”. Here is the summarized meaning of ”to put”. This is the meaning of “to put”. From the first layer grammatical level, it examines the layer and when there is an error, it checks with the other. For example, if someone says “to put a straw inside a pencil case”, an error at the setting level comes up. Then it asks “why do you put a straw inside a pencil case”? Then the other one replies “because I’m going to use it at drawing and manual arts class”. This conversation is only right because both parties share the rule at setting level that “you only put ‘stationery’ inside a ‘pencil case’”. When we humans are seemingly having a normal conversation like always, we are in fact unconsciously classifying the meaning of words into different layers. And being able to ask questions for something you don’t understand, to answer questions, and to be understood by the responses, it indicates that both parties are sharing the meaning of those different layers well. When we hold a conversation, we classify the meaning into multiple layers, check for issues in each layers, and if there is an issue we solve it on the spot, and once we are okay with it we proceed to the next step. The conditions of execution in the first to fifth layers are at the phase of briefing, to introduce characters and items involved. The listener places them as objects in the virtual world and generates a setting out of them. If one does not understand the meaning at that point, they check with the speaker and creates the same version of the virtual world as the speaker. Finally, in the last sixth layer, these characters and items interact with each other to make something happen. This is how happenings are being generated. Happenings refer to “I was told off by a teacher at school” or “I had a fight with my friend”. From these happenings, the listener extracts a cognitive pattern and understands the feeling of the other – in other words, what the other is trying to say. This is how people understand the meaning. Anyway, regarding the system of processing a conversation in six layers, have you heard of a similar system before? Have you ever seen the figure above somewhere before? 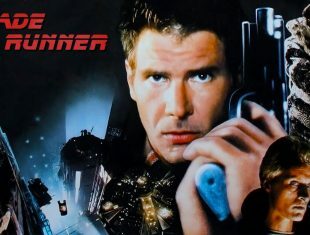 That’s right！　It’s the same as in communication protocol. It’s almost the same figure as shown in the post “The Turing Test and the System of Mind” and the OSI reference model. 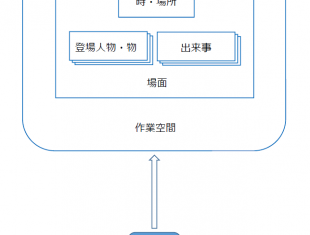 The communication protocol of the Internet is divided into seven layers following the OSI reference model, and in each layer transacts communication. Conversations humans have are actually the same. The Internet in the background divides into different layers and by using error detection function, it checks in the same level and communicates. This is indeed, how humans have a conversation and the Internet communication functions by the same protocol. A conversational system like chat bot does not have the protocol in preparation, which divides the level of meaning in multiple layers and checks it. Instead, it is programmed to respond to a certain designated word, its responses are nonsense and cannot hold a proper conversation.